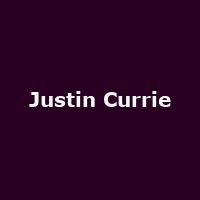 Justin Currie's biggest contributions to music include a huge chunk of Del Amitri's earnest-jangly rock hits including "Nothing Ever Happens", "Always The Last To Know" and "Driving With The Brakes On". The future of the band is a bit of a mystery since Currie went solo in 2005, releasing his first album "Rebound" (retitled to "What Is Love For" in 2007). 2010 saw the release of his second album "The Great War" and it's this very release that will get the intimate acoustic treatment in 2011, courtesy of a Justin Currie tour. Beginning in Holmfirth on 22nd January, his little stint continues on to Leamington, Norwich, Cambridge and Wolves, as well as a special evening planned for Islington's splendid Union Chapel on 30th January. Tickets are on sale now and cost from £17.50. The new album has received a few favourable reviews with songs such as the single "A Man With Nothing To Do", "The Way That It Falls" and the wryly-titled "You'll Always Walk Alone" paving the way for critical acclaim. Don't discount some Amitri classics, despite Currie scotching rumours of a reunion.